If you aim to lose weight, then you need to burn more calories than you consume and the best way to burn calories is through an aerobic workout that increases your heart rate. Of course walking and running are most popular cardio exercises that require no equipment at all, but if you want to move your workout indoors, you have to get several equipment. Therefore, it is very crucial to obtain right sporting goods in order to archive your goals. Here we will introduce you top 10 fitness equipment and gym gear to help hit your weight goals. Treadmills are the best indoor machines to take a walk, go for a jog or run without depending on weather and you don’t have to worry about the safety on the streets. Treadmills can be purchased for a few 100 to a few 1000 dollars, depending on their construction and the features they offer. Moreover, some of them even fold for convenience in storing. Elliptical machines can give you a good aerobic workout. It is good to know that working out on an elliptical machine is less stressful on knees, hips and backs than running on a treadmill. Most elliptical will also let you pedal in reverse to work different muscles. Some elliptical machines help you get an upper body workout too. These machines come equipped with poles, similar to ski poles, to give your arms a workout while you exercise your legs. If you like to cycle but don’t like traffic, then you must consider an exercise bike. There are two types of exercise bikes: upright and recumbent. An upright exercise bike is more like a traditional road bike, on the other hand in case of recumbent bike the rider sit back against a backrest with his legs out in front. Whichever style you choose, you should look for certain standard features. For example, look for a bike that offers varying levels of resistance and a monitor that shows the resistance level, distance, speed, time and calories burned. It notes that a heart rate monitor is a nice option too. You can also consider perks like a book rest and bottle holder to make the workout more pleasant. Rowing machines help you lose weight by working large muscle groups in the upper and lower body at the same time. It means that a person can work out for a shorter period of time on a rowing machine than on an exercise bike and still burn the same number of calories. On the other hand, injury risk is low because you are not putting pressure on the knees and ankles. Machines equipped with air fans can help keep you cool while you exercise. Stair machines, climbers or steppers help to duplicate the workout you get climbing stairs at your home or office. It is not be the best choice of equipment for people with foot or knee problems because of the pressure exerted in the climbing movement. You need to feel secure during the workout, and steppers with a wider, heavier base will give you the most support. These models also tend to be heavier and take up more floor space. You can open it up and the case quickly folds out to turn into a very compact gym. The case itself serves as the stepper platform with a system of resistance bands installed underneath. The bands are accessible via hooking points from the outside, you just need to attach them to the included handles and do your exercises. Different bands offer different resistance (from 5 to 75 pounds on each side), so you can vary your workouts immensely. It allows for plenty of exercises, letting you get a full body workout while using very little space in the room. Instead of buying multiple kettlebells of different weights, this adjustable unit features removable weight plates that you can use to vary the heft anywhere from 10 to 40 pounds. You get the benefit of multiple kettlebells of different weights and it takes just one spot in your gym. 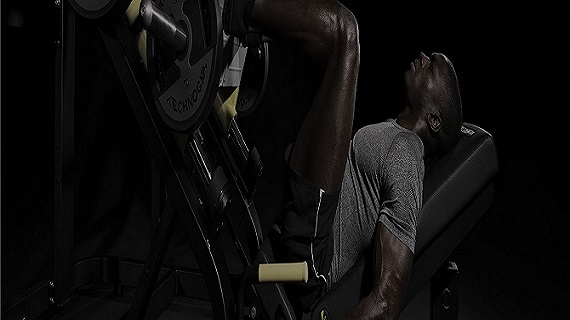 This machine promises you tight, superhero abs without all the strain and pain. It does a surprisingly good job of positioning your body to work your entire core, thus defining your abs. Fitness trampolines can improve your heart rate and circulation, as well as lower blood pressure through gentle aerobic training. You can use it indoor or outdoor, and you will not strain your joints while you are using it. Rowing machines generally do a good job simulating the same movements you will make when paddling a kayak on the water. It uses a water-based flywheel to provide the most accurate rowing experience indoors. Instead of the unnatural resistance offered by more traditional flywheels, this machine takes advantage of the natural density of water to give consistent resistance throughout the entire duration of each stroke. Tevida Bring your arms and hands together toward the center of shape as if youre hugging another woman. Make sure your arms crossed each some otherIts not surprising that there greater level of more guys who request the way to gain weight quick in comparison to females. Test Troxin Lifting heavier weights however will increase sum that courses through your. The last decade perhaps has seen the spread of heavy hard and fast lower body coaching. An emphasis upon the posterior chain has leaded to increases in speed and explosiveness created the game of football the entire lot increased. Lutrevia Youth Cream However such care isn't an outcomes of any magic but simple discipline. These fight toxins neutralizing them. Free radicals are everywhere a person. They can cause premature aging and cancer so you want to eliminate them. There are plenty of antioxidants in quality anti aging skin lotions and creams.